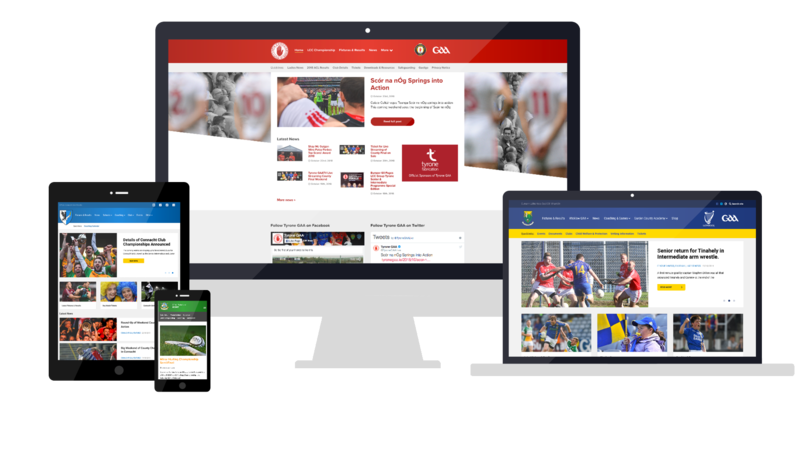 Club & County is a responsive GAA WordPress theme for your club or County. Including official GAA fixtures & results system by Servasport. Wordpress is a Content Management System which allows you to keep your latest news up to date. It's easy to use and you can have multiple admins. Our theme is fully integrated with the Servasport Fixtures & Results system. You could potentially have all your Senior and Youth automatically updating on your site. The Club & County theme is fully responsive meaning it will resize automatically on different screen sizes and devices. It is optimised for viewing on mobile, tablet and desktop computers. We have dedicated advertising areas on the homepage and throughout the site, increase revenue by selling these ad spaces. The Club & County system is maintained by a team of designers with decades of experience in the GAA. We're passionate about what we do! The theme has been developed over many years by LD2 (Lairdesign) and is now supported by The GAA. The theme is used by Provinces, Counties, Universities and Clubs including All-Ireland Champions.